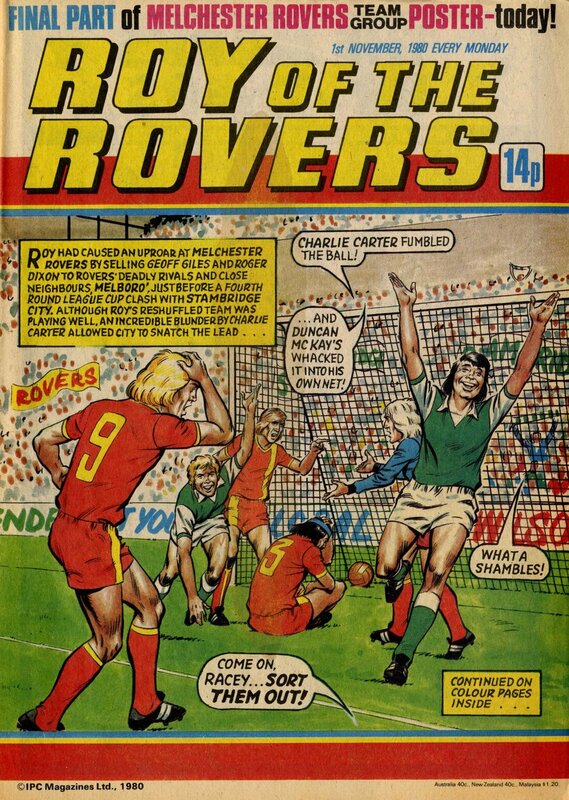 Possibly as a consequence of their long, incident-packed summer tournament in Greece, Melchester Rovers found the 1980-81 season to be one of their most challenging yet. Despite starting the campaign as champions, they spent most of it in the bottom three, battling against relegation. 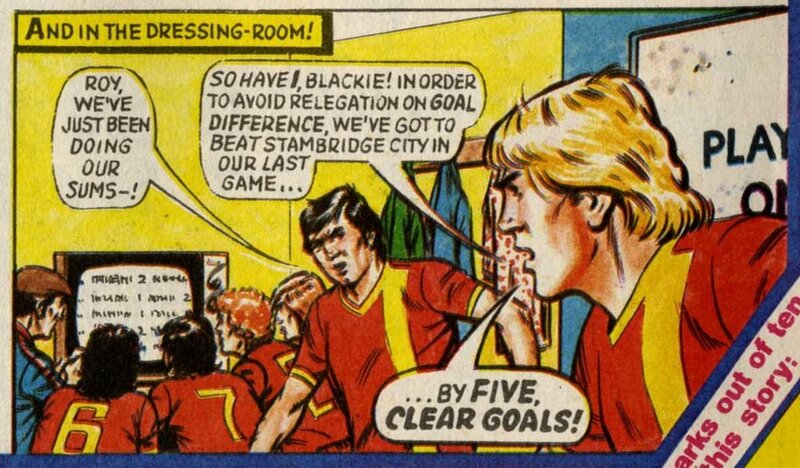 An early-season injury crisis saw Roy fielding a team of reserves and players out of position, and ended up selling reserve striker Roger Dixon and Rovers veteran Geoff Giles to Melboro as dissatisfaction spread through the depleted squad. 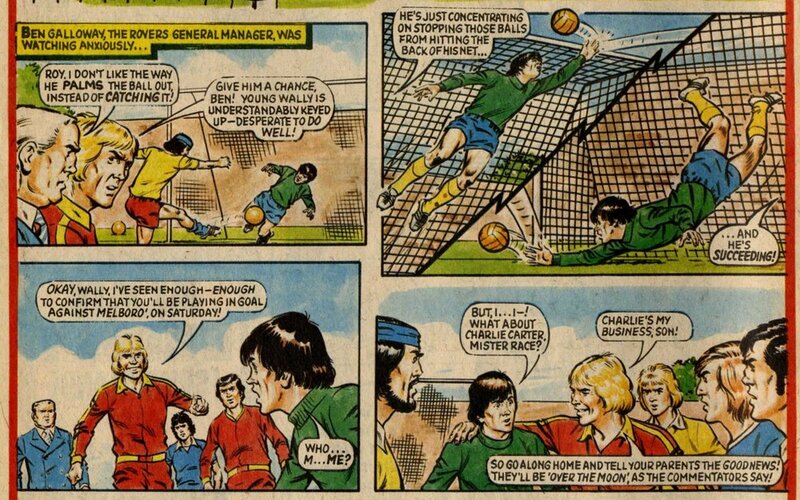 Charlie ‘the Cat’ Carter was dropped from between the sticks after suffering a confidence crisis, and by January Roy was patching things together with teenage keeper Walter Williams and veteran new signing Nat Gosden. 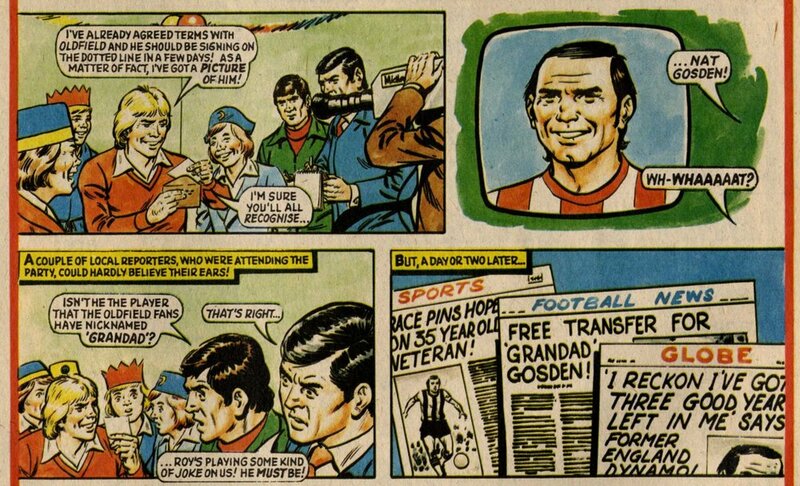 There was a different kind of crisis developing chez Race, as Penny walked out on Roy for a while, fed up with his prioritising Rovers’ concerns over his responsibilities at home. 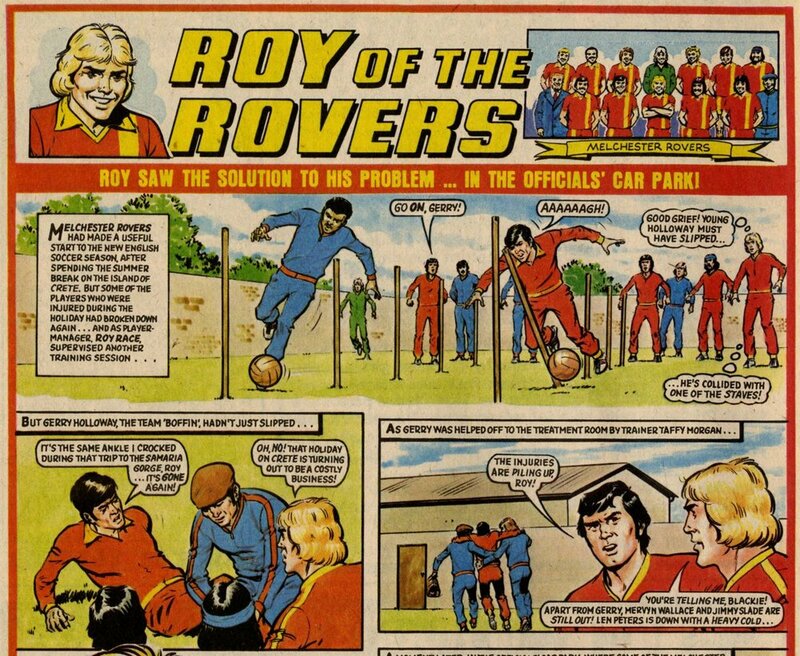 Eventually she returned to stand by her man (most undeservedly for Roy), but events had taken their toll and Roy complained of physical and mental exhaustion as an upturn in Rovers’ form failed to translate into positive results. The team crashed out of Europe and both domestic cup competitions, and found themselves needing to win their last league game of the season by five clear goals to avoid the drop. 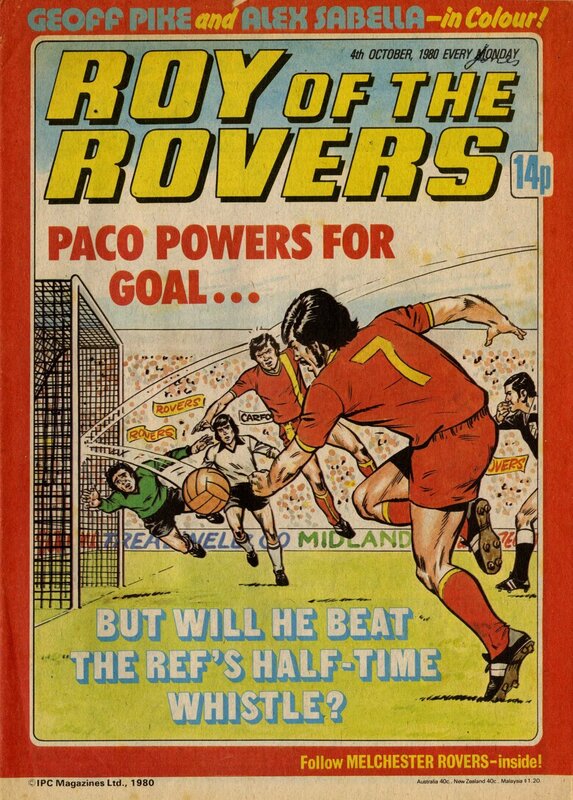 They were winning 4-0 when a late penalty was awarded. 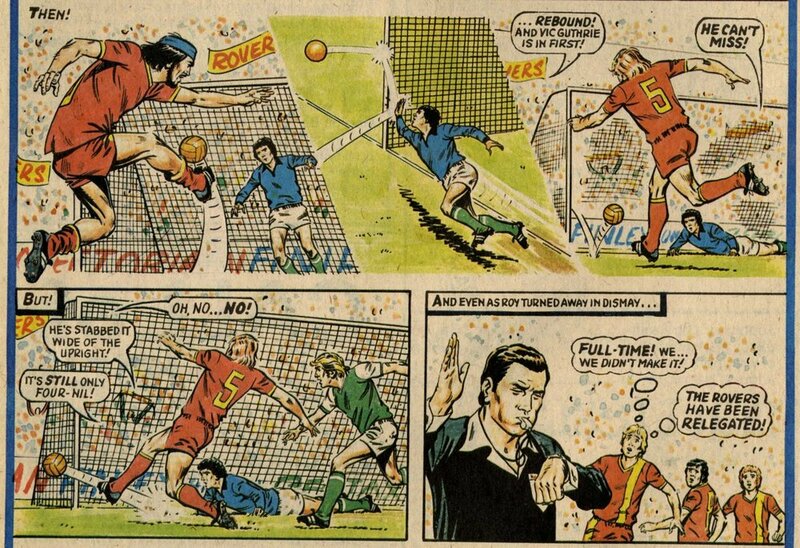 Duncan McKay missed and Vic Guthrie screwed the rebound just wide. 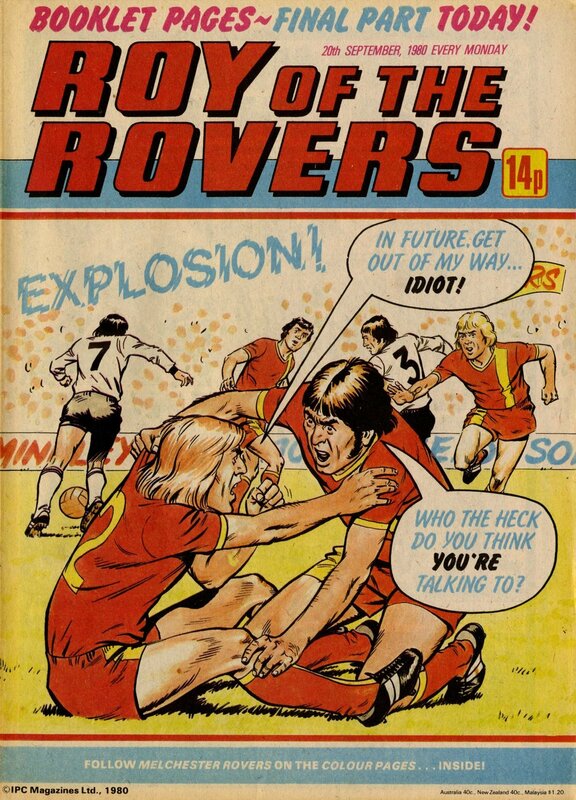 Melchester Rovers were relegated to the Second Division.